Too darn cute. Cutest elephant ever. Adorable and yummy looking treats! Love the little elephant! Enjoy your weekend getaway! These seriously could not be cuter, Sherrie!! 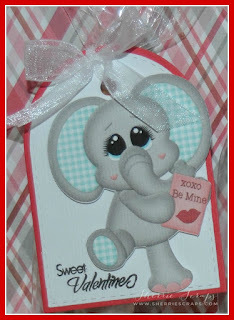 I love the sweet elephant!! How adorable!! Totally makes me smile!! And those pretzels look so yummy, too!! I know all of the kids at the day care will adore these!! Perfect Valentine treats!! Thanks so much for playing along at DL.ART!! Oh my heck Sherrie this is just darling!! I so love it! Awww this elephant is adorable!!!!!! I so love these Sherrie! Adorable treats! 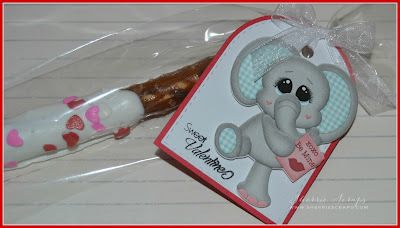 That elephant is the cutest ever and those pretzels look so super yummy! The kids will love these! Ohhhhhhhhh these are adorable! LOVING those elephants!!!!!!!!!!!!!!!!! 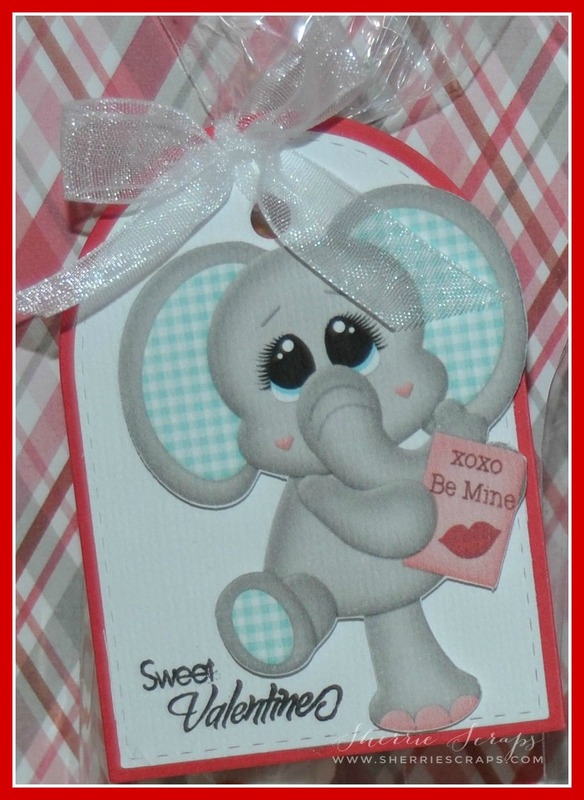 Oh Sherrie, this is so adorable and that elephant is just the cutest, gr8t job! Oh my goodness these are way too cute!! I hope you are well my friend. Thank you for joining us over at Decorate to Celebrate! 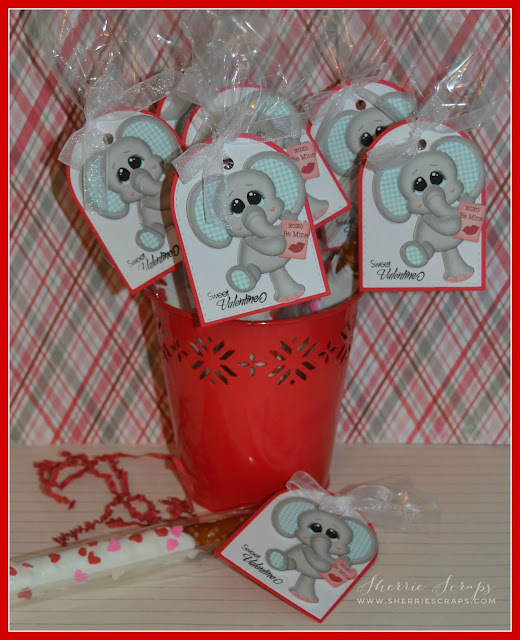 Such sweet little treats, the elephant is too cute. Enjoy your getaway, sounds like fun!! You've got some serious yumminess going on here my friend! Those pretzels looks scrumptious and that sweet elephant could NOT be can any cuter. What fun little treats!